Scrum and Visual Studio 2012 make for a powerful combination. Organizations that can leverage both will see an increase in the quality of their products as well as the velocity of their teams. In this webcast we will explore the Scrum framework, the Visual Studio Scrum process template, and the planning and tracking tools in Team Foundation Server 2012. Richard is the president of Accentient, a company that helps software development teams understand and leverage Microsoft ALM tools and Scrum. 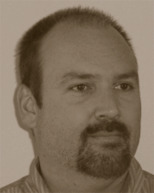 He has over 30 years of software development experience and over 20 years of training experience. Richard is a Microsoft Regional Director, a Visual Studio ALM MVP, and author of Professional Scrum Development with Microsoft Visual Studio 2012 by Microsoft Press.